Salt. It is a very important substance. Years ago humans discovered that if one adds this ingredient to food, the food would burst with a rich flavor. 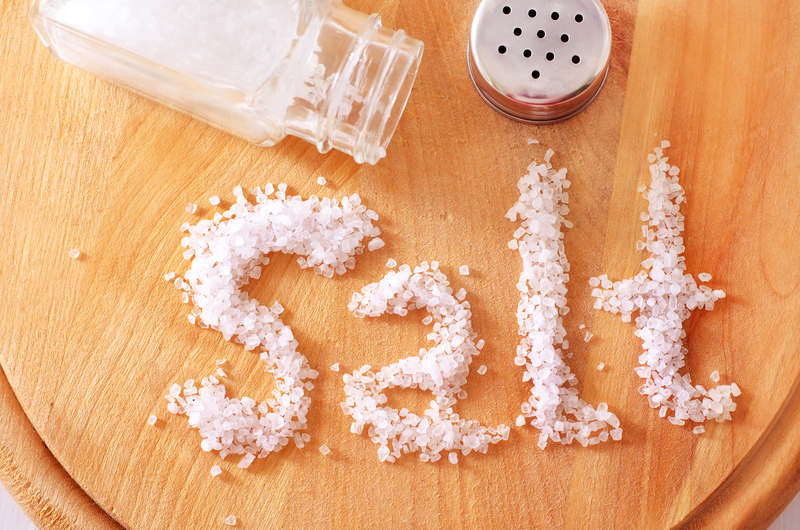 A further discovery found that salt would preserve the food from rot and decay. In the Bible we Christians are called to be the salt of the earth — to be that tiny ingredient in society that brings out the full flavor — actually the TRUE flavor — of Life. Without us, Life would be flat, purposeless. Also, by bringing the truth to Life, we “salty” Christians help to protect Life from the decaying lies of our culture. As Grand Parents, we are called by God to be that “salty” ingredient in the hearts and lives of our children and grand children. We have been given the God-shaped destiny of impacting the lives and touching the hearts of our loved ones such that we pass a legacy of faith in Christ to the next generations. There is no greater legacy!!! Yet so many of us “Baby Boomers” do not know how to do that? We feel unprepared for such a task. To assist us in this great commission are “Seven Keys for ‘Salty’ Grand Parents”. This is not an exhaustive list of steps to take to reach our loved ones. But it is a good place to start in pointing the hearts and minds of our children and grand children towards their Heavenly Father. Since we live in a noisy world, we must choose to set aside Quiet Time. By daily resting in God’s Word, we strengthen our spirits. Learn effective ways to delve into the Bible so that you can implement these Godly truths into your life and prepare yourself to encourage faith in your loved ones. “Babushka Time”! Be like the Russian grandmothers in World War II who fell to their knees praying fervently for their loved ones. Discover powerful ways to prayerfully protect and guide the children and grandchildren that the Lord has placed under your care. In a culture crowded with smart phones, computers and heavy schedules; relationships are diminished. This key encourages and equips grandparents and parents with grown children to run hard after healthy relationships with their children so that they can pass faith in Christ to these next generations. With the world becoming heavily infiltrated with technology, the written word is decreasing. Study ways to write letters, create journals and scribe blessings to family members such that you can communicate God’s love to your children and grandchildren. A short talk presenting a brief over view of the “Seven Keys”. A thirty to forty minute talk going deeper into God’s purpose for grand parents and grown parents. A one hour presentation where Catherine has two twenty minute talks. A 90 minute workshop where Catherine makes three twenty minute talks. A week-end conference where Catherine does three workshops extensively presenting all seven keys. I really like the �salty grandparenting� imagery you are using. It�s really good. Looks like you�ve done some real good thinking through this for your Seven Keys.